Bundesliga Forward Eager To Make A Dream Move To Liverpool: Should The Reds Move In For Him? The Dutch international has enjoyed a rich vein of form under Bruno Labbadia’s stewardship as he put in a string of match-winning performances for the German outfit during this campaign. 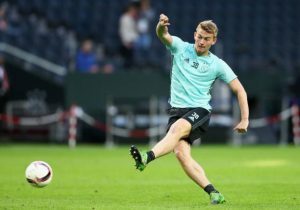 Weghorst has featured in 23 matches for Wolfsburg this term, finding the back of the net nine times while also grabbing three assists in all competitions. He has also earned three international caps for the Netherlands national team so far but is yet to score a goal for his country. The Borne-born prospect grew up playing football in Holland for teams such as DETO, Willem II, FC Emmen, Heracles Almelo and AZ Alkmaar before completing his move to the Volkswagen Arena last summer. He has established himself as a regular goal-getter in Germany, but the jury is still out on whether he can prove his worth in European competitions. The 26-year-old is physically imposing and can use his incredible strength to hold the ball up the pitch. He also packs a lot of power with his shots and is quite clinical with his headers inside the opposition penalty box. However, the Dutch prospect lacks pace and has sometimes been guilty of giving away the ball cheaply when he is not playing with confidence on the pitch. The potential acquisition of someone like Weghorst will undoubtedly bolster Jurgen Klopp’s attacking options at Anfield. The Liverpool boss has established a brand of football which is centred around pace and precision in the opposition half. The likes of Mohamed Salah, Roberto Firmino, Sadio Mane, Daniel Sturridge and Divock Origi are all quite pacey and knows how to link up well in the attacking end of the pitch. However, with Weghorst, Klopp might have a ‘Plan B’ who could be deployed off the bench when the Reds need a goal. Hence, it makes sense for Liverpool to sign the Dutch prospect as he will add another dimension to the Liverpool attack. Moreover, the Merseyside outfit would also be guaranteed a player who would be committed for the long-run as he will be playing for his dream club at Anfield. Why Jackett Needs To Take This Tough Decision To Improve Results For Portsmouth? West Ham United Ready To Make Improved Bid For This Serie A Forward: Right Choice For The Hammers? Barcelona Hijack AS Roma’s Deal For Exciting Brazilian: Where Does He Fit In At Camp Nou? Should West Ham United Really Go For This £15m Rated Sunderland Defender In January? 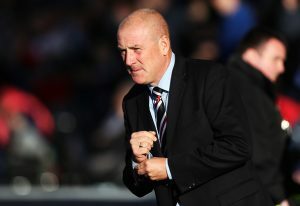 Rangers Keen To Sign Former Newcastle United Manager: Is He The Right Choice For The Gers? 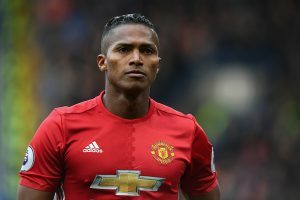 West Ham United Plotting A Move For This Man United Defender: What Will He Add To Pellegrini’s Team? Liverpool Maverick’s Move To Machester United On The Cards – Is Raiola Really This Powerful?